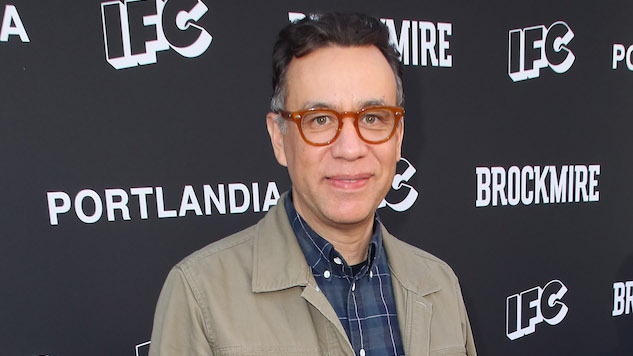 HBO has given a series order to the Spanish-language comedy pilot Los Espookys, from Fred Armisen, as Deadline reports. Co-written by and starring Armisen, Ana Fabrega and Julio Torres, the half-hour series, formerly known as Mexico City: Only Good Thing Can Happen, follows an offbeat group of friends, led by Bernardo Velasco as Renaldo, who turn their mutual love of horror films into a small business in a peculiar version of present-day Mexico City. Ranging from a dental assistant to an heir to a chocolate empire, to a valet driver (Armisen’s Tico), the wacky group of friends seems to be exactly what you would expect from the Portlandia creator. Saturday Night Live creator Lorne Michaels will serve as executive producer through his Broadway Video production company, along with Armisen, Fabrega and Torres. The series will be produced by Broadway Video in association with Más Mejor. There is currently no premiere date for Los Espookys. The pilot was ordered last November and directed by Fernando Frias. Get a first look at the Los Espookys themselves below and watch Torres do stand-up in the Paste Studio further down.